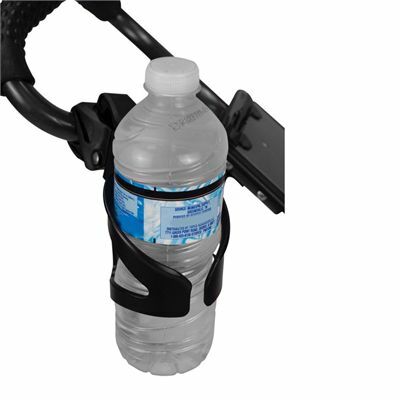 Avoid dehydration on the course using the BagBoy universal beverage holder designed to securely hold your water bottle. A self-leveling holster fits round or oval tubing up to a 1.75" (4.4cm) diameter and there is a quick mount clamp to let you easily attach it to your push cart frame. The holder can be used with most golf carts and many other products including strollers and bicycles. for submitting product information about BagBoy Universal Beverage Holder We aim to answer all questions within 2-3 days. for submitting product information about BagBoy Universal Beverage Holder. We aim to answer all questions within 2-3 days. If you provided your name and email address, we will email you as soon as the answer is published. Fits my ancient golf cart very well. Delighted with it. for submitting product review about BagBoy Universal Beverage Holder.